♥ NAPHYRA ♥: December Giveaway - 5 LUCKY WINNERS!! This special thanks goes to those participating the December Giveaway. I am really happy. I didn't expect to receive so many participation. But I'm a bit upset because I can't give the giveaway to all participants. Wait for the next giveaway yah! Thank you very much for all the support. 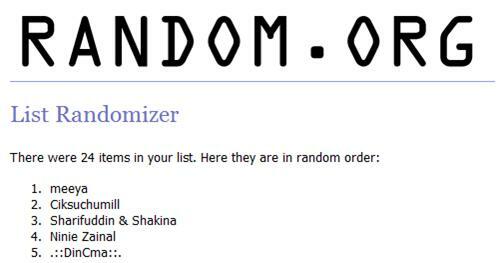 To be fair with the other participants, I will show you how I select the winners. This is kind of lucky draw. 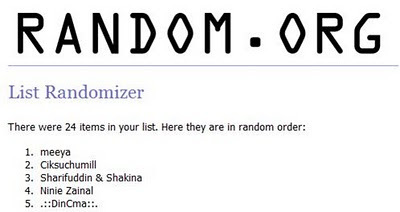 I use random.org to choose the winners. 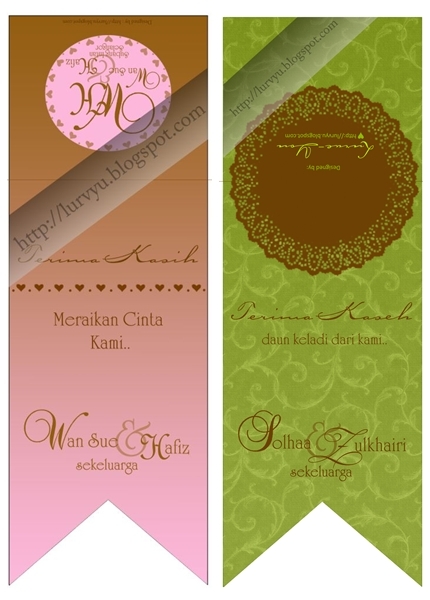 They will get a free design of Paper Bag Favor Labels each. If any of you interested with these labels, kindly fill in this form. i still kelip2 mata.adakah betul itu i?say YESSSSSSSSS!! nYomel.hahaha.mmg rezeki i tau.alhamdulillah.tq so much nYomel..i like it very much!nnti i contact u ok..(smpi skang mcm terkejut!) muahaha.ober.ober. byk kali buka entry nie utk pastikan btul ke x..
Congratulations on your win girls! wahh tak sangka sungguh..saya adalah salah sorang,huhu..thanks nyomel..
yUmIe: gud idea! tq! akan difikirkan..
shekechik: shekechik follower ke-100? wahhh.. sonoknye!! tq shekechik!! 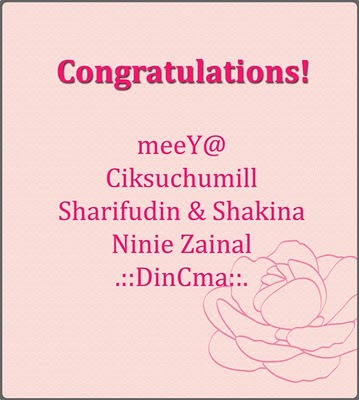 alhamdulillah..tq sis nyomel..nanti kina isi form tu ye..ehehe..suke3..